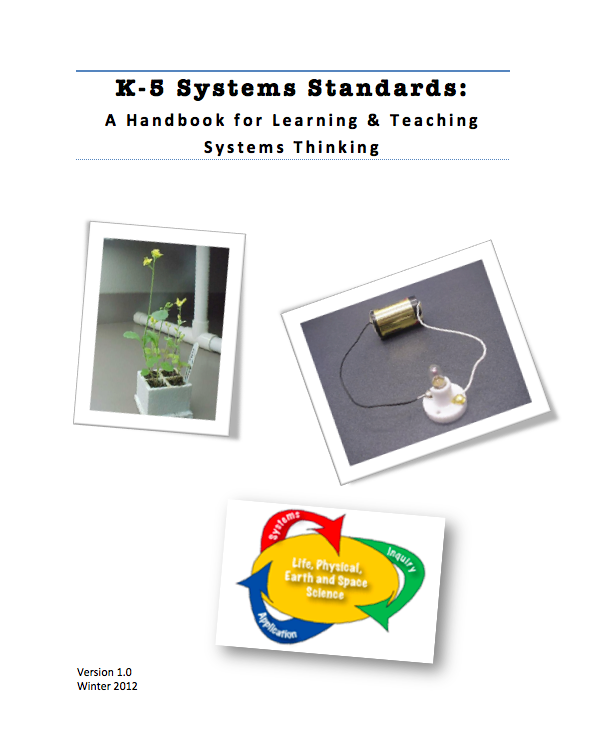 The K-5 Systems Handbook ver 1.1 is my attempt to create one document to raise awareness of systems standards and to support better understanding and teaching of systems ideas. I’m hoping this will be a helpful starting place for other districts, buildings, and teachers in creating your own Systems Handbook ver 1.1 that meets the needs of your context. And as always, I would love to hear how you use such a tool and how you have modified it for success. Also- if you are using this handbook in a professional development setting you may be interested in the Systems Handbook facilitation guide– it’s drafty but at least it’s a starting place. This entry was posted in elementary, systems, Washington State Science. Bookmark the permalink. Excellent resource here with all the essential tidbits condensed into one document, what a good idea. I particularly like the rationale “why teach systems” statement at the beginning of the booklet. You make the argument that teaching systems makes sense given our standards and EALR 1. You also make the important point that to be a productive and sustainably minded citizen in the 21st Century systems thinking skills are necessary. Thanks for taking the time to put this together.